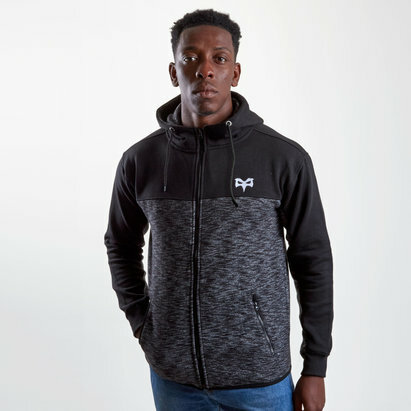 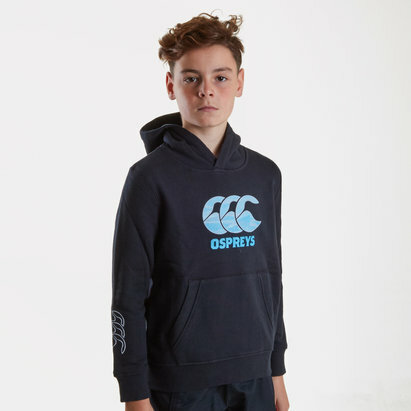 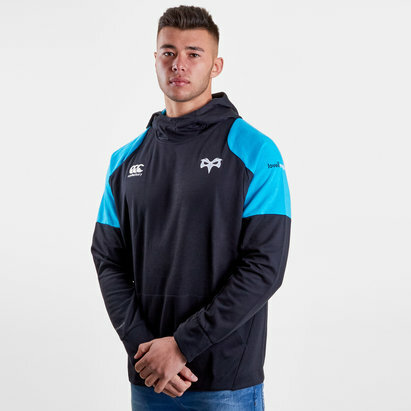 Don those famous black and white colours whether that's in training, out and about or at the Liberty Stadium in this Ospreys 18/19 Full Zip Hybrid Hooded Rugby Sweat. 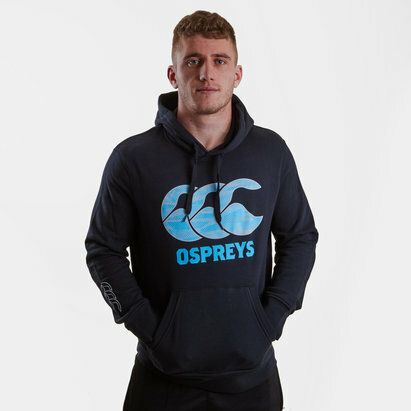 This Ospreys full zip sweat comes mostly in black with electric blue on the sleeves and collar. 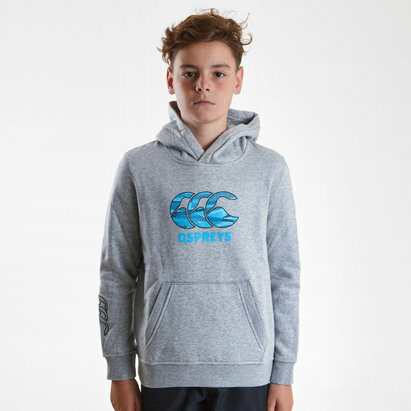 The CCC logo and club badge are on the right and left respectively. 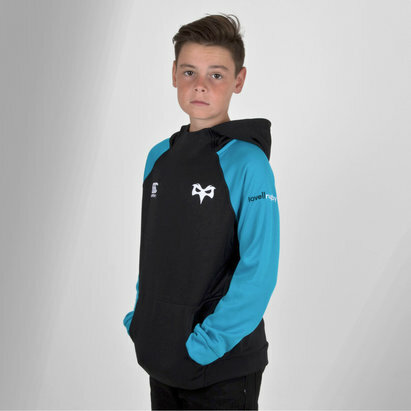 The club's sponsor - Lovell Rugby - is on the left sleeve.